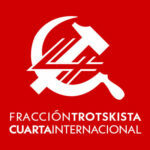 From Feb. 17 to March 3, internationalist socialists from 14 countries (1) met in Buenos Aires for the 11th Conference of the Trotskyist Fraction-Fourth International (TF-FI). This is the second of three articles summarizing the main political debates. Militants of the PTS at a roadblock during a general strike, April 6 2017. Photo: Enfoque Rojo. As a consequence of the economic crisis of 2008, various neo-reformist currents have emerged, positioned to the left of the old social-democratic parties, who in recent decades have become social liberal parties. Unlike classical reformism, these neo-reformist currents are not rooted in the workers’ movement but in sectors of the “progressive” middle classes, which include students, young precarious workers and public sector. 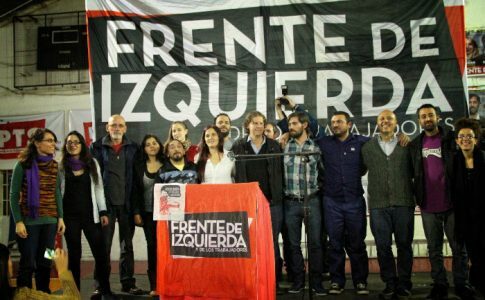 Recently in the Chilean elections, the Frente Amplio emerged as a neo-reformist variant, while in France this tendency has been embodied by National Assembly member Jean-Luc Mélenchon and his political party, France Insoumise. Others point to a shift to the left among broad sectors of the youth and a tendency toward militancy: for example, the Democratic Socialists of America (DSA) in the United States has largely channeled the “Sanders phenomenon,” and Momentum within the British Labor Party focuses on the figure of Jeremy Corbyn, organizing hundreds of thousands of young people. Some of these neo-reformist parties have already shown where their strategy ultimately leads. 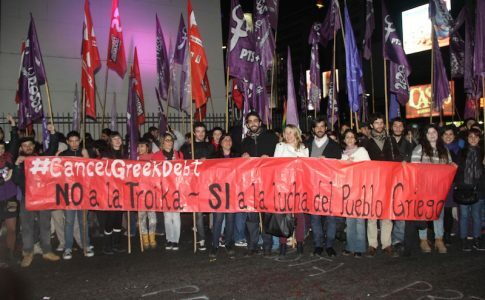 Syriza in Greece, for example, implements the European Troika’s austerity program, while Podemos in Spain no longer generates the hope it once did despite maintaining some electoral strength (it runs several local governments together with the Spanish Socialist Workers Party and is integrated into the regime). 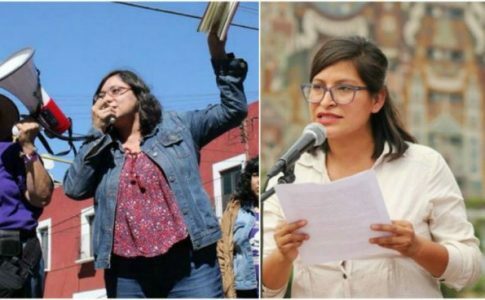 Especially if they constitute militant movements, we want to enter into a dialogue with the left wings of these currents and the thousands of youth who are entering political life because of them. We want to discuss why a strategy and program of socialist revolution are necessary and why a path of reforming the capitalist system is not possible. The groups of the Trotskyist Fraction seek to fight against the strategy of administering capitalism, which can lead only to defeat and loss of morale, as seen in the case of Syriza. Neo-reformist phenomena also create pressures for left, nourishing the illusions in the growth of the left through “electoral spaces.” A recent example of this is the right turn of the majority of the PSOL leadership in Brazil, which signed a joint programmatic manifesto with the Workers’ Party (PT) of Dilma and Lula, the Brazilian Socialist Party (PSB), the Democratic Labor Party (PDT) and the Communist Party of Brazil (PCdoB), as criticized by our comrades of MRT. 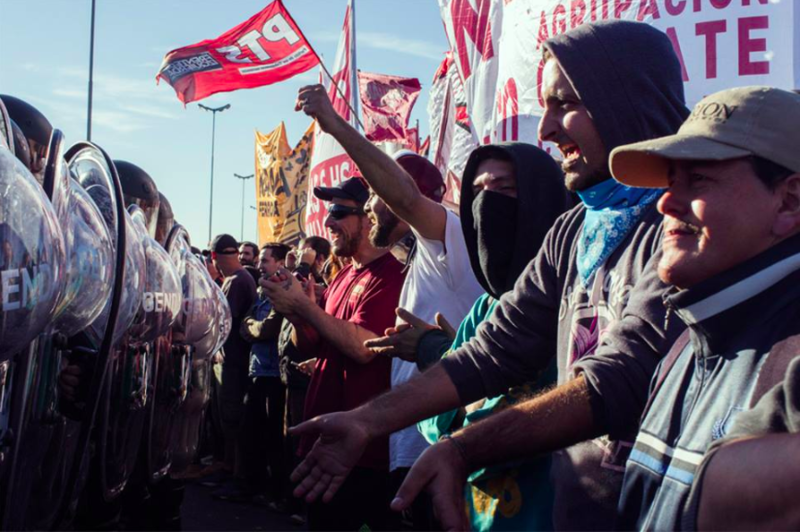 In Argentina attempts to forge such a neo-reformist political force have failed for two reasons: the reformist discourse of Kirchnerism is largely discredited, and, since 2011, the Left Front (FIT) has consolidated itself as a strong alternative. To a large extent this differentiates Argentina from most other countries where the TF-FI must face varieties of neo-reformism (Chile, Spain, etc.). Neo-reformism is a barrier against the construction of revolutionary parties. The TF groups seek to overcome this barrier via political combat and class struggle. Elections, which can help spread revolutionary agitation, cannot open up political spaces in the way that we revolutionaries can through class struggle. The Partido de los Trabajadores Socialistas (PTS – Socialist Workers’ Party), which has led Argentina’s Left Front since 2015, did not “emerge” from an electoral space but through its implantation in the workers movement and from important achievements in class struggle in which it was fully involved. Thus, the formation of the Left Front was preceded by emblematic labor struggles, such as the struggle at Kraft Foods against layoffs amid the 2009 crisis. Similarly, the Nicolás del Caño’s anti-capitalist 2015 election campaign which earned 17 percent of the vote in the city of Mendoza was preceded by the enormous struggle at Lear, where del Caño was attacked by the police on several occasions while supporting the workers. 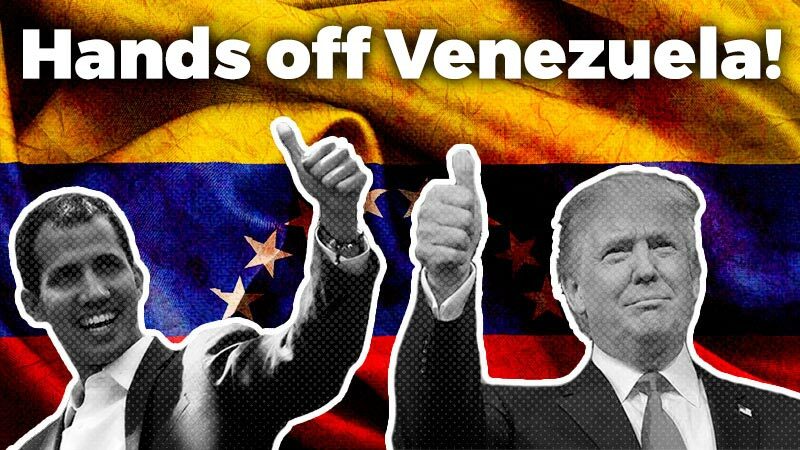 The same can be said of the PTS winning — for the first time in its history — two congressional seats in the province of Buenos Aires in 2017. These electoral successes against the backdrop of a fierce struggle led by PepsiCo workers, which signalled the popular anger that would later find expression in the December 2017 protests against Macri’s pension reform. In 1938, in “The Transitional Program,” Leon Trotsky stated that the renewal of the revolutionary movement would originate from the youth and women workers. The massive women’s mobilizations of March 8—combined with partial strikes in some sectors—seen in many countries across the world, show that this strategic hypothesis is still relevant today. Our international current is an active part of this movement, within which we have fought for many years to build a socialist feminism. The group Pan y Rosas, led by TF-FI groups and independents, is active in Argentina, Chile, Brazil, Mexico, Spain, Bolivia, Germany, France, Uruguay, Venezuela, Peru and Costa Rica. 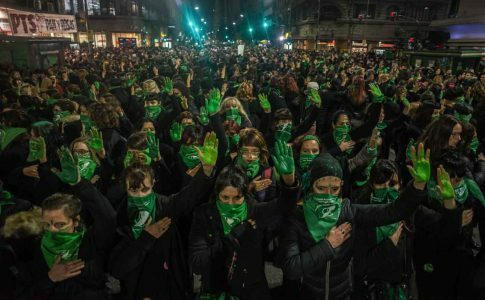 In Argentina and Chile, Pan y Rosas constitutes the main militant current within a women’s movement which mobilizes hundreds of thousands in these countries. When Trotsky wrote “The Transitional Program,” opportunistic organizations were putting aside the youth and women to concentrate on the most privileged layers of the working class. This has changed during the neoliberal era. We now face not only union bureaucracies that concentrate on the highest layers of the proletariat but also all the other bureaucracies of the “movements,” which artificially separate the struggles for civic or “social” rights from working-class demands as a whole, even though exploitation and oppression are increasingly interwoven. For example, the oppression of women is tightly linked to the ever-increasing feminization of the working class in recent decades, even if it has expressions beyond class oppression. Against these bureaucracies, we must not only wage a struggle over program and strategy within the movement, but struggle to link mass movements—wherever they may appear—to class struggle, not just in discourse but in practice. A clear example of this was the connection that CCR in France established between the ONET strike and the #MeToo women’s assembly. And in Argentina, Pan y Rosas established a link between the March 8 protests and the nurses of Hospital Posadas (one of the country’s largest hospitals), who are fighting layoffs by blocking roads at the center of the city, giving immense visibility to the conflict and forcing the government to meet with them. 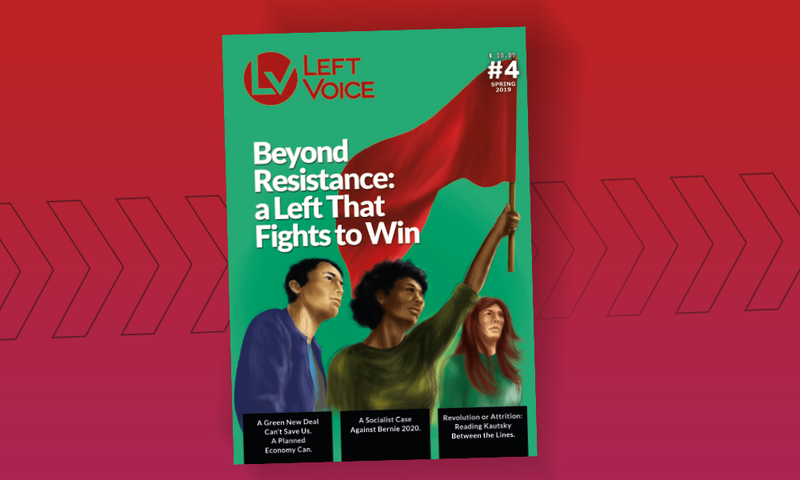 Building a revolutionary party does not come about through the mere “expansion” of an apparatus but in close connection to the development of the most progressive tendencies that come to exist, as suggested by revolutionaries such as Lenin, Luxemburg and Trotsky. To achieve this, we must be able to concentrate our forces in certain structures and there, through our interventions, demonstrate our politics in reality. While digital newspapers give TF-FI organizations a “voice” for political agitation, it is fundamental to develop strongholds (with leaders, militants, groupings and influence) so as to concentrate our forces and to highlight there consistent struggle and class independence. In the CCR comrades’ intervention in the ONET strike, they managed to connect to a segment of workers willing to fight and win, in a major battle against precarization—even though they started off with just a handful of militants and sympathizers in the railroads. They did this by, among other things, concentrating the strength of the organization and that of the digital newspaper “Révolution Permanente,” by building partial “united fronts” and by creating “democratic” alliances, by linking this struggle with the #MeToo women’s assembly and to the working-class Saint-Denis district. As Clausewitz said, the task at hand is not being strong in general but, above all, being strong at the decisive moment. This is the principle of the concentration of forces, which is so crucial in struggle. While the development of the digital newspapers is key for making our daily political interventions—making it accessible to every militant, sympathizer, etc., at the national level, and amplifying our political line to create an influence as wide as possible—we must also closely connect this to the development of strongholds, which help us build our organizations and gain strength in specific places, and not merely build our organizations with new members here and there.